While most of our glazed structures provide beautiful views where people live and work, sometimes we get a project that is quite unique like the WE Energies project. WE Energies provides electricity to many customers in Wisconsin. Located on the shore of Lake Michigan and straddling two Wisconsin counties, WE Engergies plant on Elm Road underwent a renovation and expansion which allowed the storage of coal to assure ongoing power to state residents. 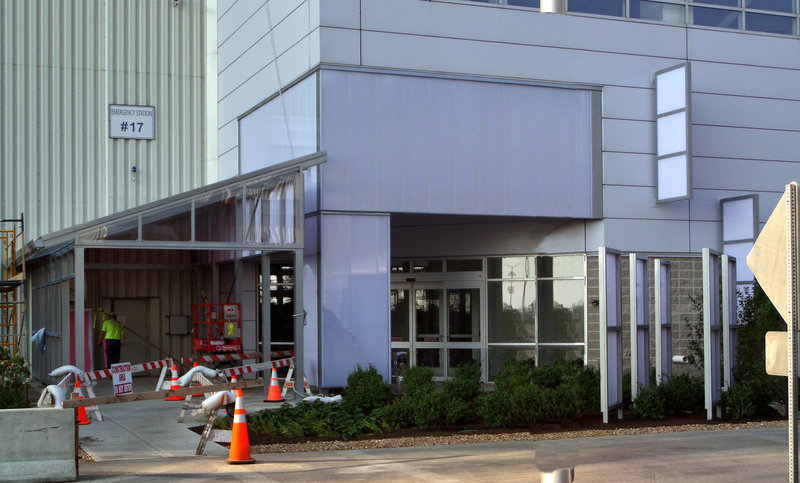 As part of the renovation, free standing wind screens were added near the service building entrance. 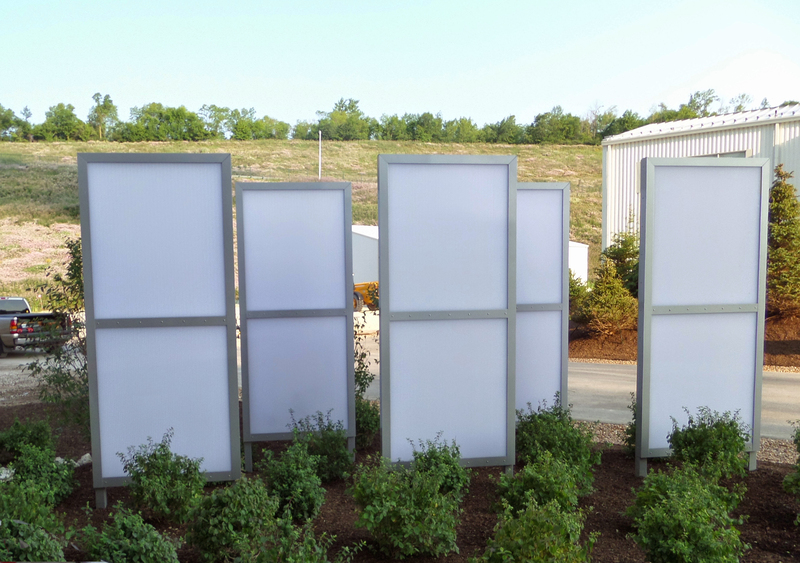 There are seven wind screens total, all made with 25mm clear polycarbonate glazing. 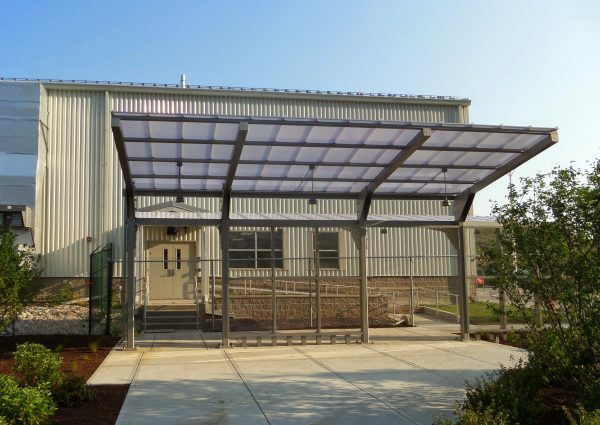 Five of the wind screens are ground mounted measuring 5′ x 10′ with glazing panels 5′ x 9′. 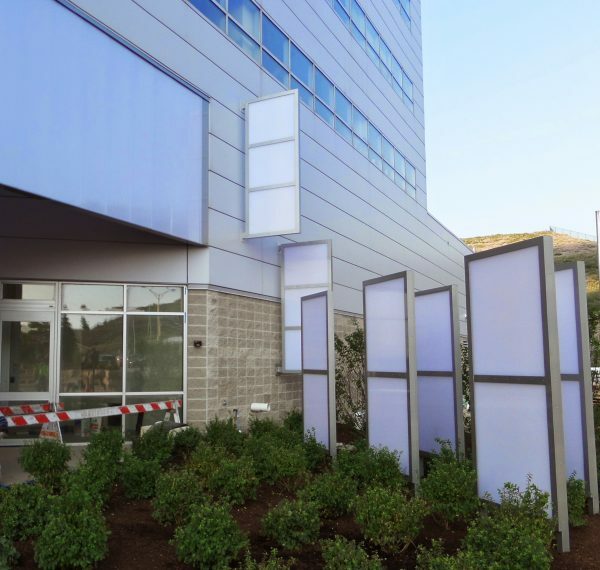 The remaining two polycarbonate wind screens of the same size are wall mounted. 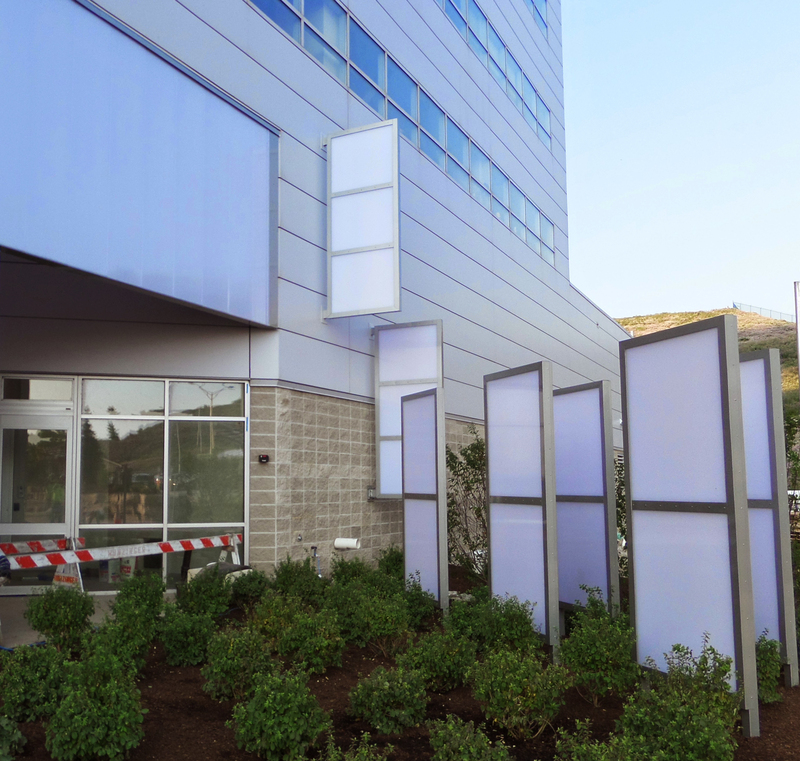 The effect is both functional and aesthetically pleasing, providing a much needed wind break for the entry way into the building. 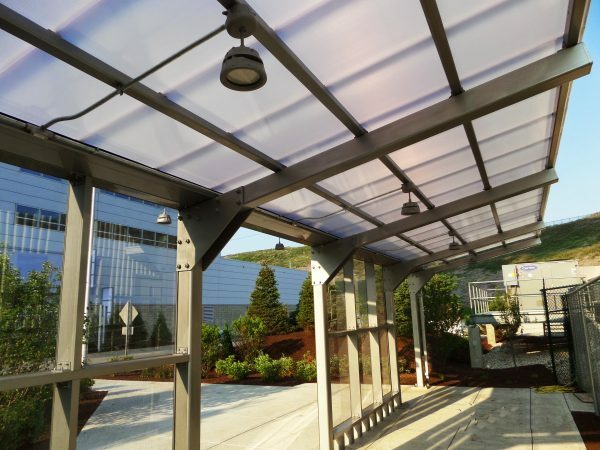 In addition to the polycarbonate wind screens, Crystal Structures also provided two canopies and a glazed enclosure, all glazed with translucent polycarbonate. Learn more about our translucent polycarbonate systems here.